Robert Wild. A Catholic Reading Guide to Conditional Immortality: The Third Alternative to Hell and Universalism. Eugene: Resource Publications, 2016.1 A free digital copy of this publication was given to the reviewer in exchange for a review. Many thanks to Wipf&Stock/Resource Publications. The official Roman Catholic teaching on the subject of hell is that of eternal torment. 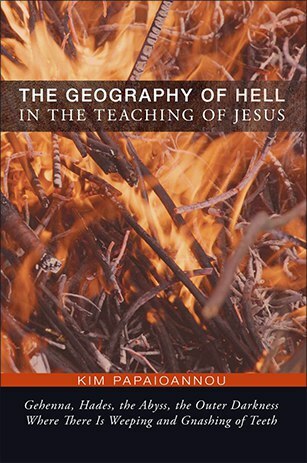 Despite this, some have suggested that it is theologoumena rather than dogma, similar to the understanding of hell in Eastern Orthodoxy, where universalism and conditionalism (CI) are both possible options. Fr. Robert Wild is a conditionalist Roman Catholic who advocates for considering both conditionalism and universalism as possibilities for Roman Catholics. 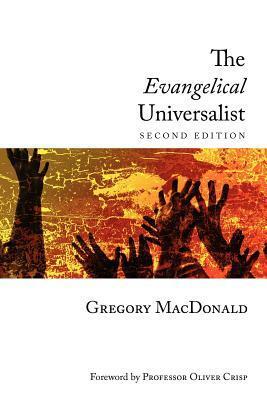 He argues that conditionalism is the best understanding both biblically and philosophically, and that CI was likely the most widely held belief among the earliest Christians. He concludes that CI can, and should, become the dominant view again. He writes, “I have come to the conclusion that CI is the more probable answer to the question of the fate of those who remain adamant in their refusal to love… I am also convinced that CI was the most ancient belief in the early years of Christian reflection, that of the Apostolic Fathers and the Apologists… I believe that, eventually, CI will assume its original predominant place and become the main view of Christians.” (p. 175-6). 1. ￪ A free digital copy of this publication was given to the reviewer in exchange for a review. Many thanks to Wipf&Stock/Resource Publications. 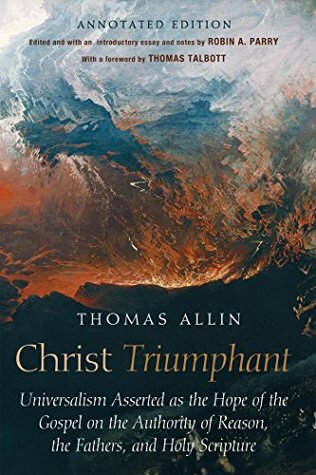 Originally published in 1885, Wipf & Stock has released this new, annotated edition of Thomas Allin’s case for universalism. Editor Robin Parry (author of The Evangelical Universalist) has provided an introduction and extensive footnotes throughout, providing bibliographic and historical notations so that this work adheres to current standards of citation and clarifies some particular phrases and references relevant to the 19th century. Ever read something you know you disagree with but still can’t help but admire the actual argument presented? That’s how I felt about Robin Parry’s presentation in the second edition of Four Views on Hell. Parry is an editor with Wipf & Stock Publishers (who published both Rethinking Books through their subsidiaries Cascade and Pickwick), and a friend of the Rethinking Hell project. Like John Stackhouse, he’s appeared twice on the podcast (here and the second as part of our series with Chris Date and the contributors to Four Views) and he was one of the plenary speakers at the second Rethinking Hell conference at Fuller Theological Seminary in Pasadena in 2015 (that lecture is available on the conference DVD set). But of the four presentations in Four Views, I am inclined to say that Parry’s is the best in the sense of a well argued, compelling case. This isn’t to say I think he’s right, but simply that of the four authors, Parry has plead his case for universal reconciliation better than the other authors did for their views. 1. 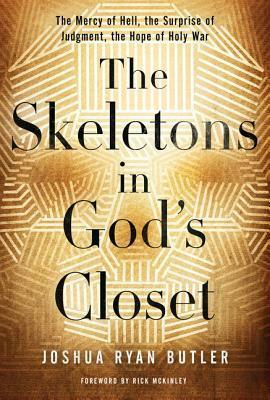 ￪ Many thanks to Zondervan for providing copies of this book to Rethinking Hell contributors. 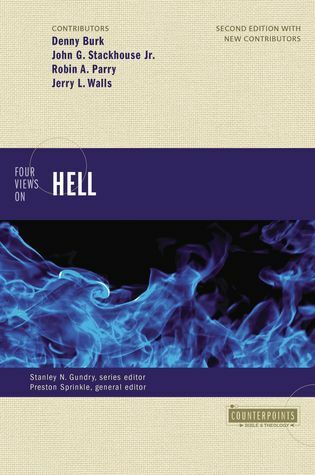 In the discussion regarding hell amongst evangelicals, Scripture should be our starting point and final authority. Of course, this doesn’t mean that historical theology is irrelevant. How the biblical texts have been interpreted throughout almost 2000 years of Church history matters in a very real sense. The Church Councils can be informative for our doctrine, but are not supposed to take precedence over Scripture. Sola Scriptura does not mean tradition doesn’t matter, but that Scripture is over tradition. But it’s worth looking at historical theology when trying to shed light on biblical interpretation when it comes to the doctrine of final punishment/hell. Hell is on a lot of people’s radars these days. We here are obviously not the only ones rethinking hell. Rob Bell’s Love Wins brought the discussion to the popular level. Love it or hate it, Love Wins got people talking.